If you'd like a ticket to CG Futures Melbourne 2019 and you are a student or recent graduate, please enter your details below and go into the raffle for 1 of 2 tickets available. There will be two winners and it will be drawn on Monday, the 10th of December. The winners will be announced on Facebook and contacted by mobile phone. 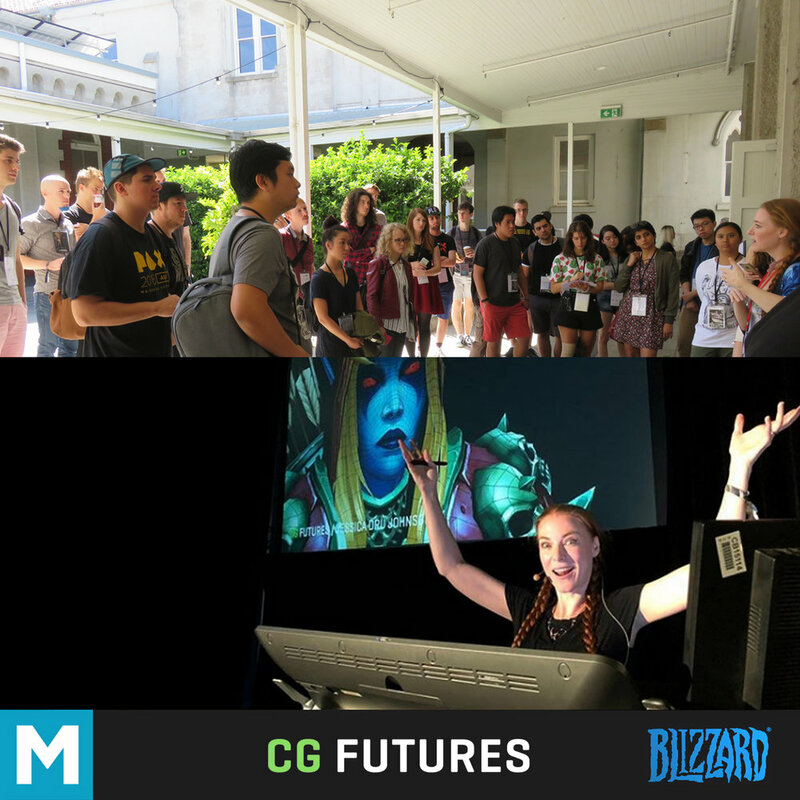 About : CG Futures presents a line-up of artists for a weekend of live demos and masterclasses. Having built their knowledge in some of the world’s leading studios, presenting artists share their techniques, workflows and experience working on Hollywood Feature films, AAA games, and shortform across commercials VR, AR, short films, and visualisation projects for major companies. Information Supplied : You will be required to provide a portfolio link and LinkedIn web address, Masters will use this information to check out your work and confirm you are a student or recent graduate in Australia or New Zealand. You will also be invited to become part of the Masters community as well as receive updates from Masters of Motion. Terms & conditions : For students and recent graduates only ! You must be a student or recent graduate (within two years of completing university in Australia or New Zealand) to apply. After the draw we will contact the winners and they will have six days to redeem the ticket. If the ticket is not collected there will be a second draw. Only one entry per person ! Thank you for entering and congratulations to the winners ! 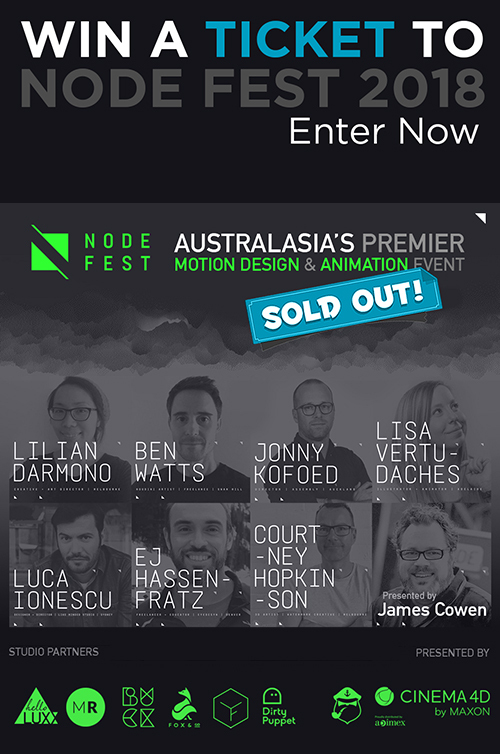 Node Fest has sold out this year, so if you'd like a ticket and you are a student or recent graduate, please enter your details below and go into the raffle for 1 of 2 tickets available. There will be two winners and it will be drawn on Friday, the 26th of October. The winners will be announced on Facebook and contacted by mobile phone. You will be required to provide a portfolio link and LinkedIn web address, Masters will use this information to check out your work and confirm you are a student or recent graduate in Australia or New Zealand. You will also be invited to become part of the Masters community as well as receive updates from Masters of Motion.